I read an interesting article recently about why horse racing staking plans don't help when backing horses. Basically the premise was that if you are backing then you are betting more losers than winners and if you have any type of increasing stakes plan then you will be increasing stakes on losers also and so you will lose more. Or at least your return on investment will go down. But that got me thinking, because if we are betting odds on shots then we will have more winners than losers, so that means if we increase stakes then we will be staking more on winners than losers. Because there are more of them. This reminded me of the Odds On Trainer and Odds On Jockey systems we created back in May of this year. Both of these systems are in profit, but at Starting Prices it is a very modest profit. To be honest I tend to agree with the article and don't like any form of increasing stakes staking plan, but I think a simple percent of bank plan would go well with these strike rates. If we revisit my article from earlier in the month about longest losing runs we can calculate that we can expect a longest losing run of about 9 with a 60% strike rate from 100 bets. So I think a 5% of bank staking plan would work well as it allows for 20 losers in a row. I applied this plan to the Odds On Trainers system and it made a profit of £7.13 from a £100 bank 🙁 level £5 stakes would have made £17.15. So I did the same with the Odds On Jockeys system and got similar results, using 5% of the bank made a profit of £10.14, but level £5 stakes produced £16.75. So what's the point here, I think it's just that beware of anything promising riches from a system or tips that use a particular staking plan. I'm sure I could come up with a staking plan that would make these selections more profitable, but it would probably only work on that particular sequence. Feel free to discuss this in the comments and I'll investigate any interesting points raised when I get back from my hols. I was going to write about longest losing runs that we can expect at different price points today. But one of the tipsters that we follow here has just tipped a 50/1 selection as a win only bet! Yesterday he gave a 33/1 selection and that won!! So know I'm thinking I need to think about what the longest expected winning streak is at those price points. Luckily the calculation uses the same formula so I can cover off both in one post. Do you remember Logs, when I was at school we had a log book where you looked up Logs, Sines and other numbers, but these days you can just punch this into a calculator or a spreadsheet and the answer will pop out. So to calculate the longest expected winning run at big odds I've run a query on Horse Race Base of all horses that have started on the flat with a starting price between 25/1 and 50/1. The horse that won yesterday was 33/1 in the morning but started at 25/1 today's is 50/1 at the moment. Over the last 11 years there have been 103,101 runners with an SP in that range. 1,660 have won, which is a strike rate of 1.61%. Now the Hawkeye service is making some good profit so we should maybe up the probability of winning to account for the skill thats going into these selections. But because it's difficult to put a number on that I'm just going to go with the all runners strike rate as my probability, but the longest winning run for this service is probably higher than the number we get from this calculation. 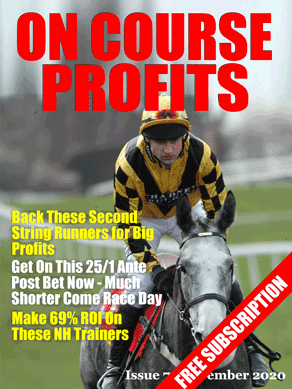 The answer is that the longest expected winning run where the strike rate is 1.61% is 3 winners. To calculate the longest losing run you would use the same calculation, but the strike rate you would use is the losing strike rate, so if a system has a 30% strike rate then the losing rate is 100 – 30 = 70% So the probability is 0.7.